Remote software and operating parameter updates can be sent to Granites and other models via Mack’s Over the Air system while vehicles remain in users’ hands and without visiting dealers. Mack Trucks’ Over the Air remote programming has accomplished 2,100 updates and saved more than 3,100 days of downtime since the service began in late 2017, the company said as it announced a new Parameter Plus package that enables customers to make up to 50 operating-parameter updates per 12-month period on all model year 2018 and newer Mack vehicles equipped with Mack GuardDog Connect. OTA allows updating of engine software and other functions while trucks remain in customers’ hands and without visiting dealers, said Tim Wrinkle, Mack’s construction product manager. Updates are transmitted via cell phone circuits to trucks at agreed-upon times, with an update typically taking 21 minutes. A driver or mechanic is talked by phone through the steps required to do an update, which includes an engine shutdown. The new Parameter Plus package improves access to updates to 50 per year from the former limit of two per truck under their Uptime contract subscription, Wrinkle said. There is no limit for Mack-initiated software updates used to continuously enhance product performance. Mack Parameter Plus also is available for previously purchased vehicles with Mack EPA 2017 engines. 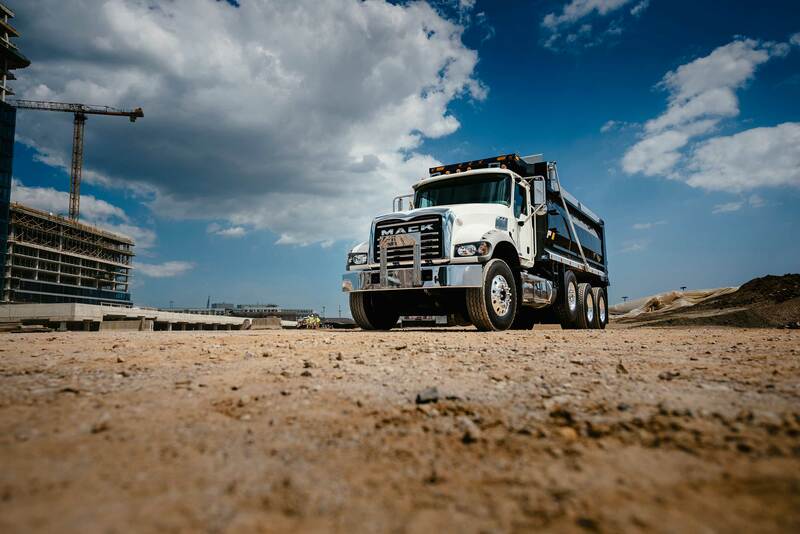 Mack Over the Air delivers software and parameter updates directly to a customer’s truck through Mack GuardDog Connect, Mack’s fully integrated telematics solution. Working with Mack OneCall agents, the updates are scheduled for when it works best for the customer. “The parameters can be set while the driver is available, such as when at lunch, since most updates take just a few minutes to set,” said David Pardue, VP connected vehicle and contract services. “As long as the key is in the ignition and the truck is parked, the remote update can be delivered.” Along with setting the speed limit, other parameters include the shifting of the engine into economy mode or performance mode.